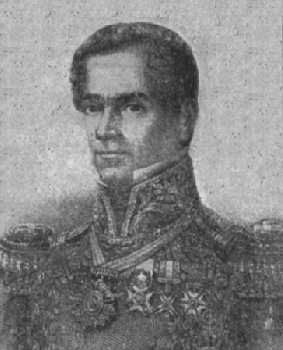 Antonio Lopez de Santa Anna was born in Vera Cruz, Mexico, (People) on February 21, 1794 (Antonio). When he was 16, he entered the Spanish army as a cadet and thus started his long military career (People). For a while he fought against Mexican independance, but switched sides in 1821 and helped Mexico win independance (People). In 1828, he used his military leadership to help a losing presidential candidate win the election. As a reward Santa Anna was made the highest general in the land. The next year, he defeated the Spanish as they tried to recapture Mexico (People). Santa Anna was elected president in 1833, winning by a landslide (People). However, Santa Anna's promising talent did not pan out. He constantly switched sides (Lord 63). Between 1833 and 1855, Mexico had at least thirty-six government changes with Santa Anna at the head of at least eleven of them. During his first presidency, Santa Anna turned over most of the running of the government to the vice-president who launched some unpopular reforms, so Santa Anna led a military coup on his own government (People). The 1824 constitution of Mexico gave the states many freedoms. Santa Anna threw out this constitution and made himself dictator. This sparked many rebellions including the Texas Revolution. Santa Anna personally led the army into Texas to squelch the revolution. He carried out a "take-no-prisoners" policy having everyone killed at the Alamo and at Goliad. This infuriated the Texans, which coupled with Santa Anna's overconfidence, lead to a crushing defeat at San Jacinto (People). Santa Anna was allowed to live, but had to grant Texas independance. However, he was able to regain his status when he defeated a French invading force in 1838. During that battle he lost half of his left leg. The proud Santa Anna had this portion of his leg dug up in 1842 and paraded through Mexico City. Eventually he put the leg on a prominent monument so all could see (People). Santa Anna was the most powerful man in Mexico until he sold millions of acres of land, known as the Gadsden Purchase (Antonio), to the United States in 1853 (People). This united opposition against him which had him exiled. But, he was allowed to return shortly before his death in 1876 (Antonio).